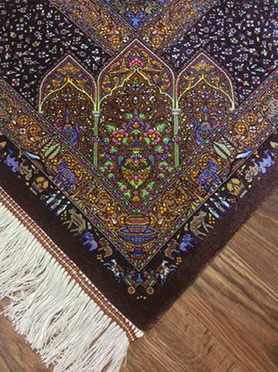 Having your Oriental or Persian rugs appraised is a smart idea! Typically your reasons may be: 1) insurance – in case of fire or theft, your insurance companies will ask you if you had the rug appraised for its true value or you may want to add an insurance rider based on an accurate appraisal; 2) valuation for sale, donation, tax or estate purposes – many factors affect its worth, especially the misunderstood issue of whether your rug is an antique; 3) creating provenance – establish documents which confirm the history of your particular rug and photo images which record its current condition. These are a few of the many reasons to have your rugs appraised. One thing is certain, as a result of having an appraisal you will have a greater understanding of the origin of your rug, its type and design, age, knot count and many fascinating insights into the world of Oriental and other fine rugs. If you need your Oriental rugs cleaned, give us a call!